Are you overwhelmed with back-to-school details? Aren't these first couple of weeks in September a little nuts?! Getting back into regular routines, attending to details for school and activities. I've been a little absent commenting back to you on my posts, and I apologize for that, but this last week has been pretty hectic. Nevertheless, I'm hanging in there, and will always be sure to get to your questions here and by e-mail as quickly as I can! 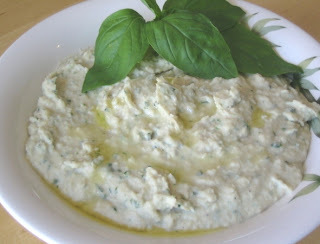 Like this White Bean Hummus with Fresh Thyme and Basil. This hummus is creamy and herbaceous, and utterly delicious. Plus, for days when you are running to and fro with school and activities... and packing lunch after lunch, this hummus is a cinch to make. You just need a small amount of fresh basil (1/4 cup) and fresh thyme (2 - 3 tsp), so you can use herbs growing in pots on your patio, or from those small packages in your grocery store. Then, you simply need pantry staples like canned white beans, lemon juice, olive oil, tahini, and a few other basic ingredients to whiz up this wonderful, healthy hummus. To finish off the hummus, I like to drizzle some extra-virgin olive oil over top. So good! 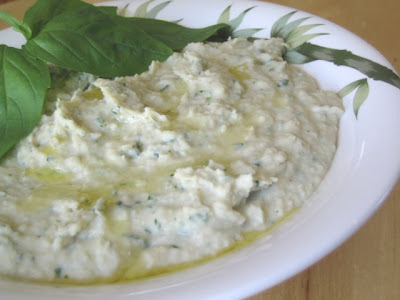 Carrie tested this white bean hummus recipe for me many months back, and you can also check out her post about it. So, what other recipes will be in this hummus chapter in ED&BV? (I know, I'm such a tease). Well, there's Chipotle-Lime Two Bean Hummus, Olive and Sun-Dried Tomato Hummus, and Kids Dynamo Hummus for starters. While I know many of you love the Creamy Hummus recipe from Vive, we all need to spice things up a little from time to time, right? Yum! Oh, goodness, I cannot wait for the new book! We need that book soon Dreena! When exactly will it be ready?! I am interested in this white bean hummus, as I am trying to follow the Eat Right for your Blood Type diet, and it says the unthinkable: I'm not supposed to eat chickpeas! I am not giving them up, at least not yet, but i should mix things up and try some other beans! Do all the hummus recipes have tahini in them? Unfortunately my son is allergic to sesame seeds and I am having trouble making a yummy hummus without it. Oh yes, the early September, Back to School crazies have gone on too long this year. No apologies necessary. Are both your girls in full time school? Oh the food, glorious food! Funny, because I'm eating chickpeas while writing this- to think I didn't like them until I rediscovered them when going vegan. I just can't wait for the cookbook- just the hummus section alone has got me pumped! I hope your children are enjoying first grade; and that you aren't getting too stressed out! can't wait for this new book with a chapter devoted to hummus!Since coming to UK, we have been consuming so much hummus, both Soner and I love it. Yesterday Soner was asking how was our life BH (aka before humus), LOL! To admit,I buy them from the store since I can never create the creamy hummus that I love and yes,I have to admit I didn't try your recipe. Good luck with the busy back-to-school days! That looks so gooooood. 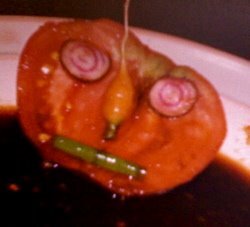 I'm always looking for ways to play with the basic hummus idea. Ah, the mighty, mighty chickpea. No greater bean alive! I love your hummus recipe from Vive and the yummy versions from the Everyday Dish DVD are out of this world delish! I make one at least once a week (and my own white bean hummus recipe but I can't wait to try yours!) An entire chapter...hallelujah! Spread the chickpea love! a whole chapter devoted to hummus? ah, enough to make a preggo woman WEEP! you are just too good to us. That is so cool of you to have a whole chapter on hummus. Yet another reason to run out and buy all your cookbooks! 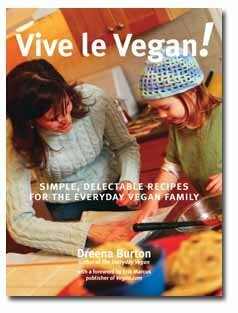 Guess I'm going to have to see what Father Christmas brings me :-) I'm trying to write a recipe book of my own for teenage vegans, which is fun! When did you decide to start writing cookbooks? That is so cool of you to have a whole chapter on hummus. I just stumbled upon this blog and this recipe looks great. My boyfriend and I are obsessed with hummus. To Tamara - I often make hummus without tahini and it turns out well. I usually compensate by adding some more olive oil and lemon juice. I also add a bit of water while blending to make it a bit creamier (otherwise it comes out too doughy). Adding a little Greek yogurt also helps make it a bit creamier but of course it won't be vegan then. Michelle d., ED&BV should be on book shelves by mid to late Oct. We will have books back from the printer some time this month, and I will know more then. I wouldn't give up chickpeas either! Tamara, no there are at least 2 recipes I think that don't use tahini at all. Then, the kids dynamo hummus has only 1 tbsp tahini, and you could omit that altogether. Also, try using 1 tbsp of cashew butter (if he can eat it) instead of tahini. It's naturally sweeter, so kids like it anyhow. You may need to just adjust the salt a little, adding a few pinches more. I've tried sunflower butter too - it's darker though, so turns the tahini darker... but you could do half cashew butter and half sunflower butter. Extra olive oil is also very good to help replace some of the fat that the tahini gives to the hummus. Hope that helps... good luck! Hi Carrie, cool... I'm glad you've made those two hummus recipes again - and with success - awesome! Yes, yes, I think you'll love the Chipotle Lime - one of my faves. I don't think I'm heading to TO just yet. Was planning to if we could book the Gill Deacon show, but her show got cancelled last year. So, yeah, maybe the TO Veg food fair next year might be a better use of travel. (and yes, we are still expecting the book to be out in October)! !